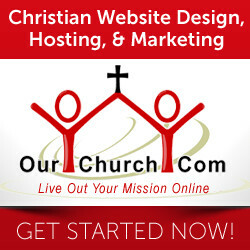 Get Your Free Church Marketing Today! Some church events will get people’s attention enough that they will blog about the event. This is most likely not the intent of the event, but certainly a welcome side-effect. A few church events provide the opportunity for bloggers to go even further, not just blogging about the event after it happens, but live blogging during the event itself. Events which are typically live blogged are usually informative in nature. The bloggers have to have something of value to blog about during the event. Events like cook outs or concerts rarely provide that kind of content for a blogger to write about during the event itself. Sometimes multiple band concerts can work, though. Live blogging events also tend to be multi-session events. 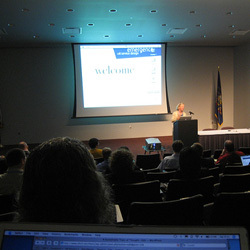 Having several sessions, like with a conference, gives the blogger a reason for multiple posts. Different sessions means different topics which means separate posts. Also, having multiple sessions will provide more content than a blogger would want to include in a single post. So, once again, this results in multiple posts which encourages live blogging. The events are usually high profile. If an event is high profile, then by live blogging, the blogger is becoming a part of the event in a sense. They are getting in on the excitement of the event and get to ride the coattails of the event’s popularity. That’s a big attraction for bloggers. Don’t think this means your event has to be a national conference like Catalyst, though. You can host an event that is high profile in your local area. The key here is that you need to publicize the event before hand and create some buzz around the event. As you organize your event, if you want bloggers to live blog the event, you need to create an environment where they will be able to and want to blog live from the event. Provide free wifi. Most bloggers don’t have their own wifi hotspot, so you are going to need to provide the Internet connection. This means providing a wifi connection free of charge in the area where the audience will be sitting during the event. Provide promotional and teaser information before the event. Here’s another win / win situation. By providing bloggers with pre-event materials, you give them someone to write about before the event, something to get their audience excited. At the same time you get free publicity for your event. The pre-event materials should be something more than flyers and ads. They need to have substance. Videos are great! I’ve also seen some events where the church provided pre-event study materials for small groups / churches to go through in the days / weeks before the event. The materials were intended to prepare the attendees for the event both with information and to prepare them spiritually. These materials can be great resources for bloggers too. Create a blog mashup. On the website for the event (possibly just your church’s website) create a blog that automatically posts the blog posts of bloggers planning to write about the event. Ask bloggers to sign up before the event so you can include the feed from their blog. This provides an opportunity for the bloggers to reach a new audience (so they like it) and it encourages bloggers to blog about your event. You can even specifically mention live blogging in your invitation to the bloggers. You should link to the blog mashup info on the event site, but also take the effort to contact bloggers who you think may be interested in blogging about the event. Create a Twitter Hashtag for the event. This is a similar concept to the blog mashup. Since most bloggers tweet about their posts, they’ll be interested in the hashtag and, as a bonus, you’ll get non-blogging people on Twitter who can tweet about your event. Have a pre-event event for bloggers. This could be a lunch or something similar where you invite local bloggers to learn more about the event, get some exclusive information, and interview people from the event (speakers, etc.). By showing a little love specifically for the blogging community, you can get a lot of love back. Live blogging is a great thing. It’s a win / win / win situation. The blogger get’s content to blog about, people who are unable to attend the event themselves get some of the information from the event, and your church both get’s free marketing and reaches a larger audience with your message. Everyone wins. Have you hosted an event that was live blogged? What did you do to encourage that? Have you ever live blogged an event? How do you decide what to blog about live? Jane, Hah, I hadn't seen it that way. Interesting. I believe it's actually a picture from a Chiropractic conference and she's just stretching or popping her back.